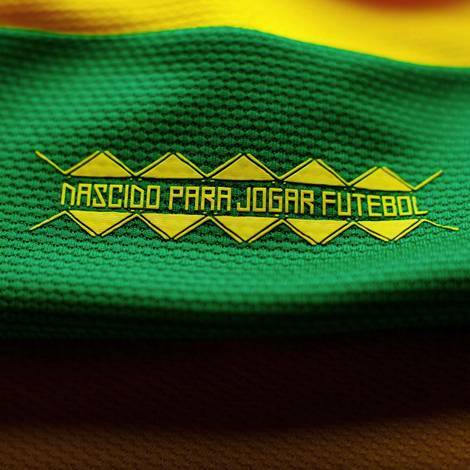 The famous canary-yellow shirts of the Selecao have been given a make-over by Nike once again, as the new Brazil Home Shirt 2012 was given it’s full reveal in Sao Paulo earlier today. 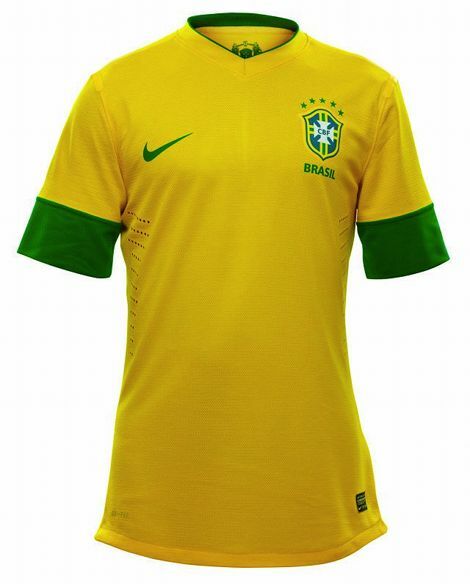 Eliminating the opinion-dividing Green Stripe from last year’s kit, the Brazil Home Shirt 2012 is perhaps a return to expectations for the world-famous kit of the five-time World Cup winners. 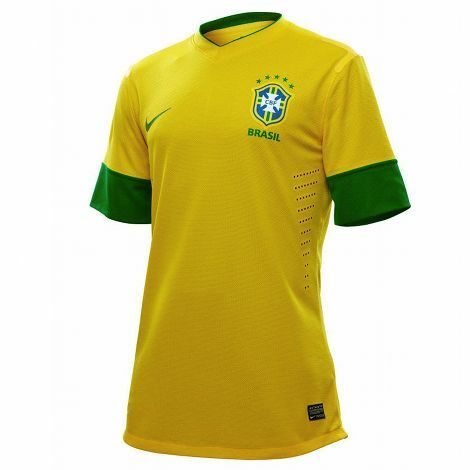 A clean V-Neck is a new addition over the crew-necked incarnation from last season, and the Brazil Home Shirt 2012 brings retro-inspired, chunky green trim to both sleeves. 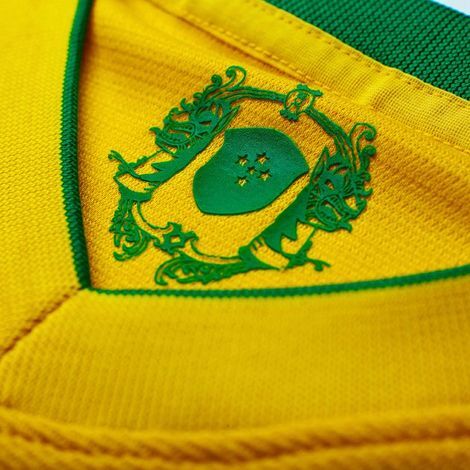 As we’ve come to expect from Nike’s international shirt releases, the Brazil Home Shirt 2012 boasts a bespoke crest design on the inside of the neck, whilst the inspirational ‘Born to Play Football’ mantra is on the sleeve. 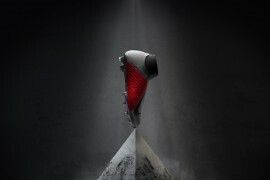 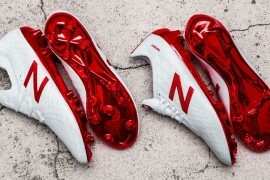 Since 2010, Nike have implemented their ‘Considered Design’ initiative, creating their national and replica shirts from plastic bottles that pile up in landfills, and the latest Brazil shirt is no different. 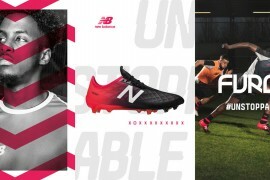 Utilizing Nike’s signature Dri-Fit technology, the Selecao will be kept cool and comfortable thanks to a series of laser-cut holes to provide ventilation, and a moisture-management element to the fabric will transport sweat away from the body. 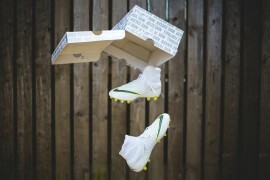 What do you think of the shirt that Neymar, Robinho & co will be wearing this year? 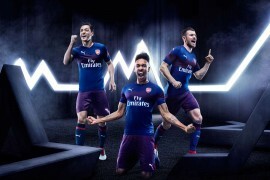 very glad they got rid of that god awful stripe in the middle of the shirt that lacked creativity. 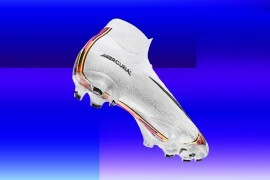 this version is a much cleanierÂ design and the Selecao should look great sporting these in the coming year.